Outdoor Network aims to broaden the scale and reach of its national digital network with the addition of two new rotating digital LED billboard sites in the town of Ballito on the KwaZulu-Natal north coast. The two 3m x 6m digital billboards are located 500 metres apart, with one on the R627 alongside the popular Ballito Lifestyle Centre shopping centre, and a route leading to and from the upmarket Zimbali Coastal Estate. The second digital billboard is in close proximity to the local Virgin Active gym and Ballito Junction Regional Mall. Both sites are also a short distance from the N2 highway, connecting residents and visitors with King Shaka International Airport, Umhlanga and Durban south. 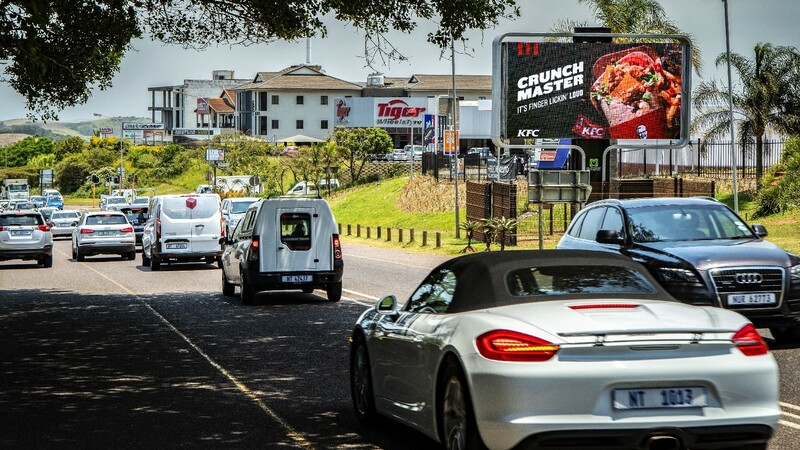 "These are two prime locations, with Ballito no longer just a popular holiday destination," says Warren Dugmore, head of sales at billboards Outdoor Network. "It’s now a thriving town on its own and home to around 230 000 residents, with our two new sites both located on a busy route through the main attractions in Ballito," adds Dugmore. According to Outdoor Network, along with the residents, Ballito also has a secondary catchment area of approximately 510 000 people, while 72.7% of the population have an average household income of R20 000 or more. There’s also a working population (ages 15 – 64) of 66.7% and, just under 60% have access to the Internet. "These digital billboards aim to offer advertisers the ability to expose brand messaging to consumers on both their morning and afternoon commute, with dayparting via campaigns tailored specifically to the needs of brands," says Dugmore. "In this way, they can be optimised for audience delivery, mapping the unique audience profiles throughout the day and by day of week. The creative possibilities are enhanced by creative ad-serving to deliver the right ad to the right customer at the right time and place," adds Dugmore. Digital out of home (DOOH) is proving popular with brands, and, according to the 2017 Peter J. Solomon Company (PJSC) Study and Recall Comparison, has the highest aided or unaided recall rate of all media. Furthermore, a 2017 Nielsen-OAAA OOH Compilation Report revealed 75% of respondents saying they had noticed a digital billboard in the past month, while 60% said they had noticed a digital billboard in the past week. Over half of the travellers (55%) who noticed a digital billboard in the past month noticed specific messages on the billboard either every time or most of the time after having passed one. "The benefits of DOOH are numerous, particularly when integrated with mobile, video, social media engagement, and more," concludes Dugmore. Outdoor Network says DOOH is the future, and these two new Ballito sites keep the brand current and at the cutting-edge of outdoor advertising, while at the same time growing its national footprint and providing brands with the opportunity to better engage with consumers. For more information visit, www.outdoornetwork.co.za. You can also follow Outdoor Network on Facebook or on Twitter.